Leed is committed to continually improving its safety processes and finding new ways to keep safety at the forefront of all we do. We encourage our staff and subcontractors to constantly think not only about their own safety, but also the safety of their workmates and the community. One of our most experienced Supervisors observed that WHSE risks may be higher when staff are returning to work after a break. This led to Leed's RESET intitiative, a program set up by our WHSE team to remind staff to refocus their attention on safety immediately before they go back to work. RESET stands for Risk – Evaluate – Safety – Every – Time. 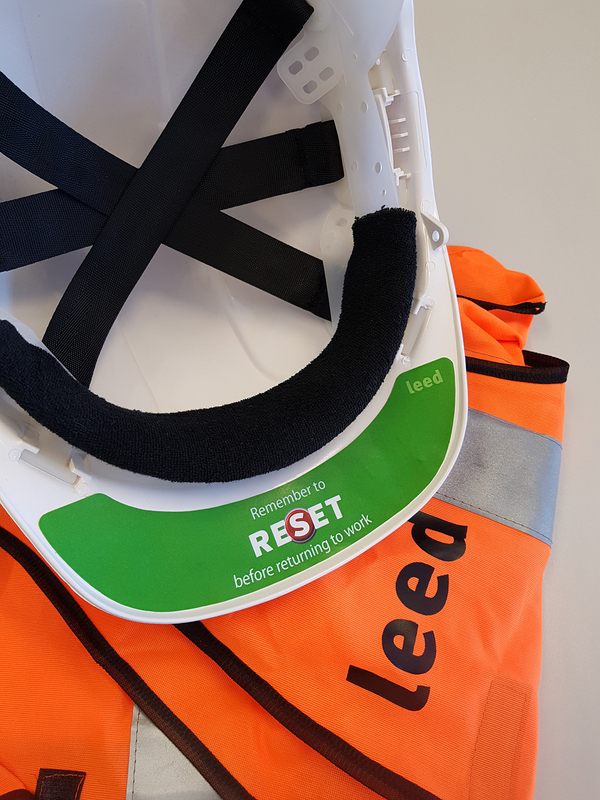 As part of the initiative we have produced RESET stickers that are placed inside the peak of Leed hard hats—the last thing our people see before returning to work.